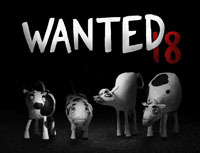 The Wanted 18 is a unique production that combines stop-motion animation, interviews, original drawings, and archival footage to bring to life one of the strangest chapters in the history of the Israeli-Palestinian conflict. It shows the power of grassroots activism, peaceful resistance and courage in a part of the world that is fraught with negative imagery and despair. Directed, illustrated and narrated by acclaimed Palestinian artist Amer Shomali together with veteran Canadian director Paul Cowan, the film gives voice to the principled activists who participated in the dairy. Amer Shomali is a Palestinian multidisciplinary artist, using painting, digital media, films, installations and comics as tools to explore and interact with the sociopolitical scene in Palestine. He holds a master's in animation from the Arts University Bournemouth, UK and a bachelor's degree in architecture from Birzeit University, Palestine. 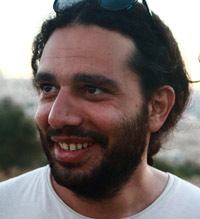 He was born in Kuwait in 1981, and is currently based in Ramallah. 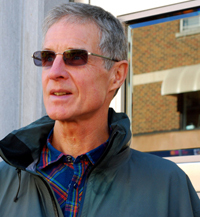 Paul Cowan is a Canadian director and producer, who has spent most of his career working for the National Film Board of Canada.